Olen saanut käsiini ehkäpä tähän mennessä parhaita teepussukoita, joita olen eläessäni maistanut. Laitan niistä tähän jonkunlaisen luettelon, johon tulee kuvaelmat mukaan. Kuvaelman kirjoitan englanniksi, niin kuin se on siinä pussissakin. Kuvaelma: Delicious astringency that is characteristic of expensive teas from India, spicy thyme and cool peppermint notes create unique bouquet of Greenfield Spring Melody that is light, bright and fresh as spring breath. Tender aroma reminiscent of fragrant grass odours underlines the original flavour. Excellently refreshing and thirst-quenching drink. Allow to infuse for 5-7 minutes. Kuvaelma: Chinese tea Keemun from Anhoi province is famous for its original complex flavour. 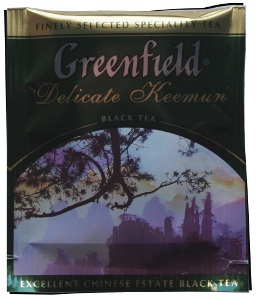 Exciting play of taste and aroma in Greenfield Delicate Keemun creates truly exquisite bouquet. 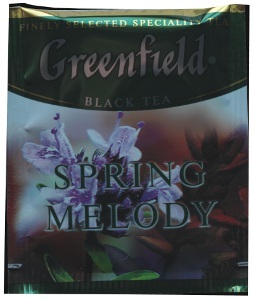 Mild flower and honey scents underline the depth of this special tea. Allow to infuse for 3-5 minutes. 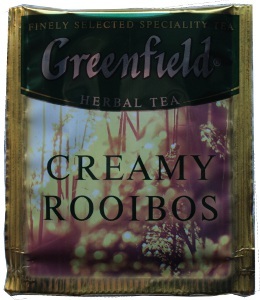 Kuvaelma: Natural sweet flavour of the ethnic drink Greenfield Creamy Rooibos produced in Souoth Africa from rooibos bush sprouts becomes more pronounced with fine and fleeting vanilla aroma. Bright orance aroma underlines freshness of the natural antioxidants that effectively quenches thirst and relaxes. Allow to infuse for 7-9 minutes. Kuvaelma: Bright aroma and noble flavour of Ceylon tea are duly appreciated in the whole world. 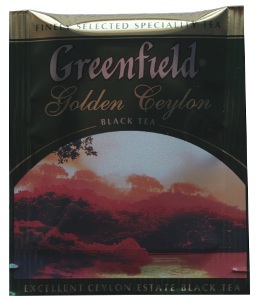 Unique charm of precious estate tea Greenfield Golden Ceylon lies in its balanced bouquet distinguished by original fine, full and fresh cup that the true connoisseurs of tea will undoubtedly enjoy. Kuvaelma: Special green tea Japanese Sencha produced accordingly to original Japanese tradition from the leaves of the first flush perfectly reflects exuisite simplicity and harmony of Japanese culture. 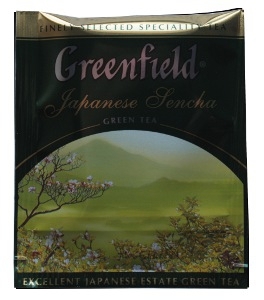 Fine bouquet of Greenfield Japanese Sencha will please you with sweet creamy flavour notes and light sea breeze aroma. Allow to infuse for 5-8 minutes. 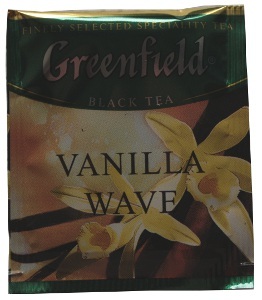 Kuvaelma: Warm vanilla wave fills with new breath wonderful Ceylon tea in the composition of Greenfield Vanilla Wave. Piquant cinnamon and sweet apricot notes skilfully inserted into the facets of the complex flavour composition complete the balanced bouquet of Greenfield Vanilla Wave.